With its ephemeral messages, addictive features, and lo-fi charm, Snapchat may be the hottest social network of 2016. It’s the most recent one to stick and it’s made a significant impact since it did. It’s the fastest growing social network. New users grew by 57 percent in 2014 alone. The app has nearly 100 million daily active users. About 65 percent of daily active users create new content every day. Users send more than 400 million Snaps per day. Around 10 million Snaps use lenses each day. Users spend an average of 30 minutes inside the app every day. It boasts 8 billion daily video views, rivaling Facebook. A full 58 percent of college students would be likely to purchase a brand’s product or service if they were sent a coupon on Snapchat. But—despite Snapchat’s impressive growth and impact—many brands haven’t yet begun to harness its power. 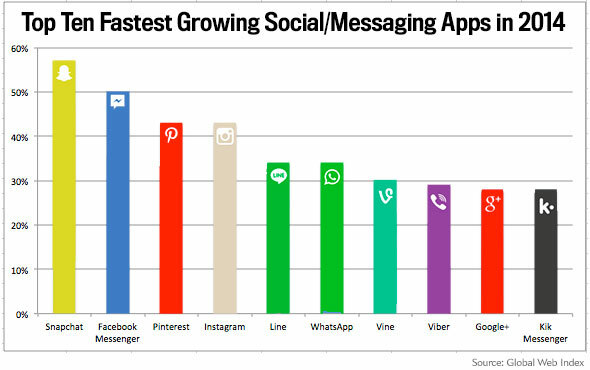 There are still a lot of misconceptions regarding the social messaging app’s purpose. Our own Ryan Holmes cleared these up when he explained why brands should take Snapchat seriously (hint: it’s not sexting). With the social messaging app poised to go mainstream in 2016, it’s time marketers paid Snapchat the attention it deserves. 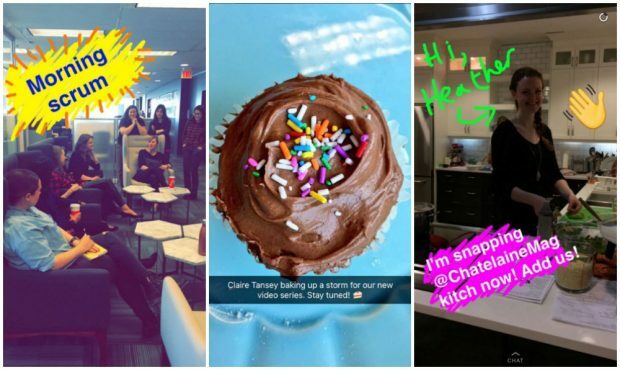 Simply put: brands need to get on Snapchat PRONTO. 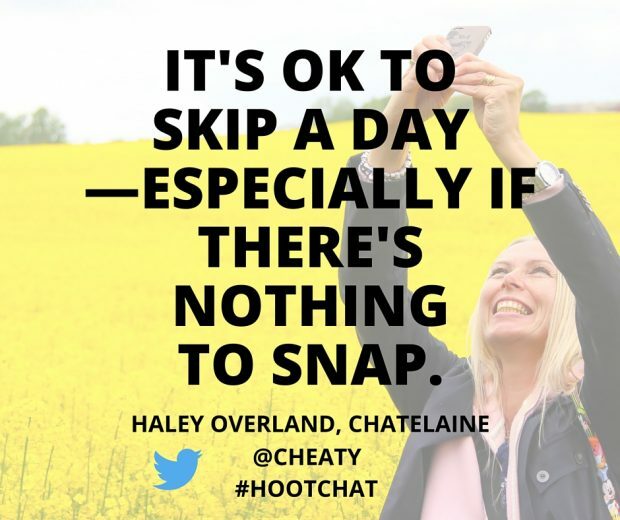 Haley Overland, senior editor of social media at Chatelaine, is a social media influencer and Snapchat superstar by the name of Cheaty. 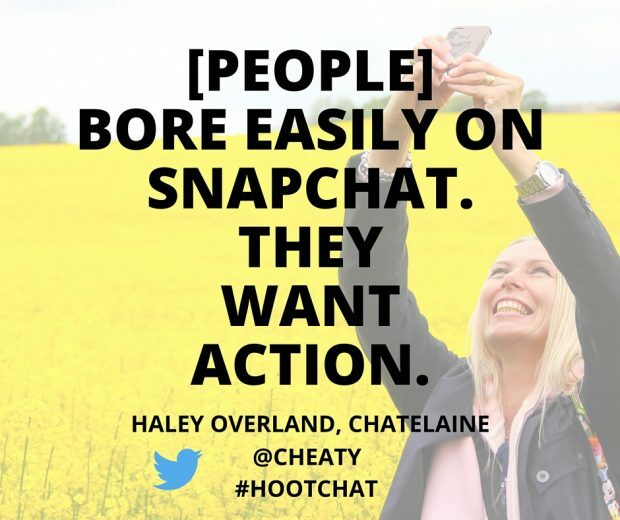 She joined us for a #HootChat all about Snapchat, why brands should be on it and how they can get started. Snapchat is about so much more than simply sharing an image (selfie or not) or a quick video clip. The app encourages freedom of expression with a dazzling array of features to allow customization of the Snaps you send to your friends or your Story. These features are, in fact, one of the stickiest aspects of the app. The ever-changing lineup includes: custom geofilters (great for building brand awareness), doodling tools, text, emoji, and more. Lenses, in particular, increase the app’s stickiness. Snapchat offers 10 free lenses—animated filters that can be applied to selfies—each day and the lineup changes every few days, a feature that keeps users coming back. It’s crucial that brands get creative with their Snaps in order to keep users watching their Story. Trying to figure out where to start? 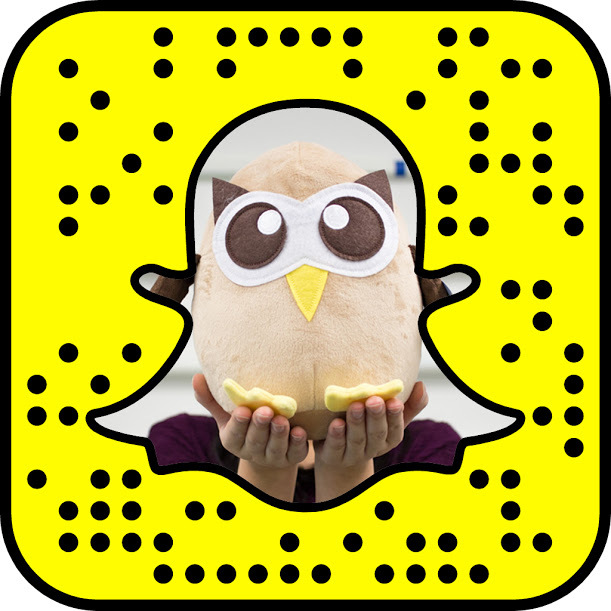 Follow power users who are rocking Snapchat and pay attention for an unofficial masterclass in Snapping. Once you’ve figured out how to use Snapchat’s regular features, go beyond and innovate new ways to use the platform. 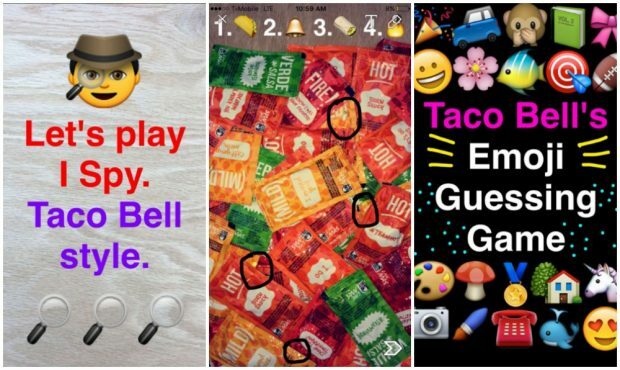 Taco Bell has used Snapchat to run polls, asking followers to screenshot the Snap in the brand’s story that represents their vote. Because Snapchat lets users know how many people have taken screenshots of the different Snaps in their Story (the number of screenshots taken appears next to an intersecting arrows symbol on the My Story dropdown) it’s easy to track which of the choices won. The fast food joint is constantly innovating on Snapchat. In addition to surveying Snapchat followers, they’ve run I spy and emoji guessing games. On Valentine’s Day, they shared cheesey (pun fully intended) taco-themed Valentine’s that users could doodle on and share with their friends (they even shared instructions on how to do so, a nice touch for users who might not be as familiar with the platform). Users can also opt to customize their Snapcode—for that personal touch—by adding an photo, logo, or even an animated Snapcode selfie. Another tactic that can be very effective in building up your audience is to recruit ambassadors to help you spread the word about your brand’s Snapchat account. Professional artists are increasingly getting into the Snapchat game, with brands paying big bucks for them to create artful Snaps. 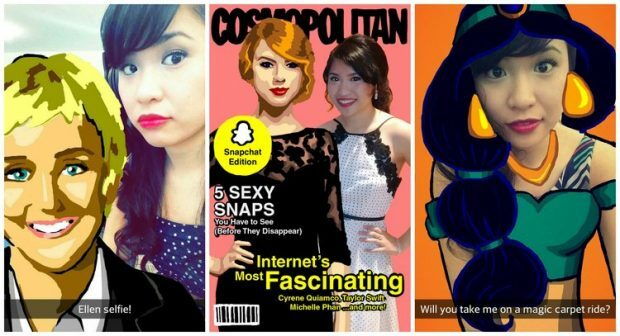 Graphic designer Cyrene Quiamco—who goes by CyreneQ—can make $10,000 for a single Snap. She’s worked with big brands like MTV, Wal Mart, Jolly Rancher, 20th Century Fox, and more. Shaun McBride—known on Snapchat as Shonduras—has created Snapchat art for Disney, Samsung, Taco Bell, and AMC, among others. 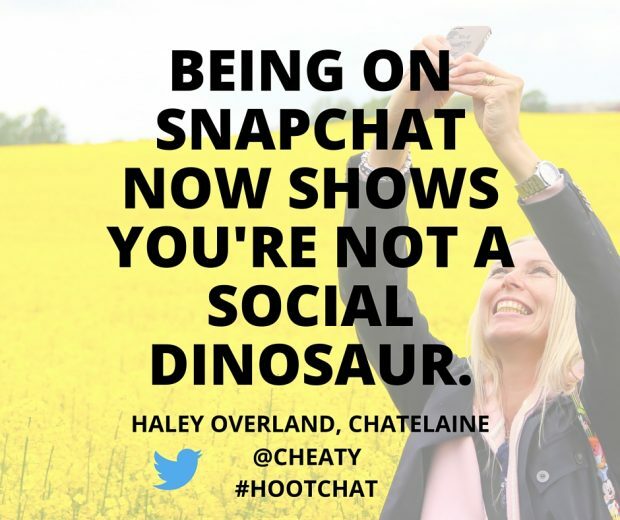 For her part, Overland (who’s a social media influencer in her own right), often posts about Chatelaine’s Snapchat on her personal account. She’ll take a Snap, scribble Chatelaine’s Snapchat username, and add it to her Story (thus exposing Chatelaine’s account to a whole new group of users). 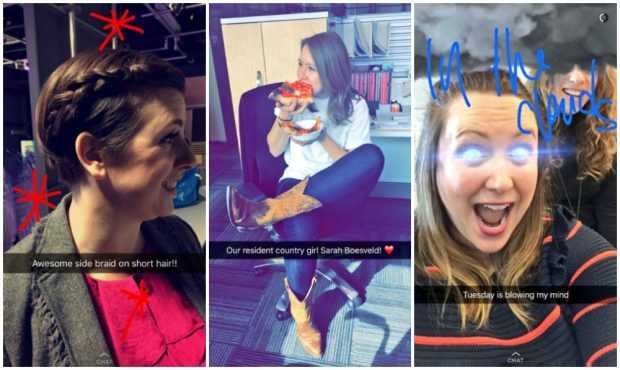 The ephemeral nature of Snapchat means that even public Stories aren’t permanent—and that’s okay. In fact, it can be somewhat freeing for brands. Unlike a more traditional platform like Twitter or Facebook—which tells visitors to your account when you last posted—unless someone visited while you’ve got a Story live, they won’t know when you lasted posted. This means no one’s tracking you. Because watching a Story on Snapchat is such an engaging, opt-in experience, it’s crucial to make sure you’re putting out good content when you do post. Rather than super-Snapping everything all the time—ultimately creating a disjointed and hard-to-watch Story—take the time to think through your Snaps. Plan your Story ahead of time so that it, you know, tells a story. That extra little bit of planning (it doesn’t have to be a big event) can add a lot of cohesiveness to your finished Story. If you aren’t on Snapchat already, Overland has some simple, easy-to-follow advice to help you get started: “Get your OWN snapchat account and start experimenting with your story—learn the features.” That way when you do start Snapping for your brand, you’ll know what you’re doing!